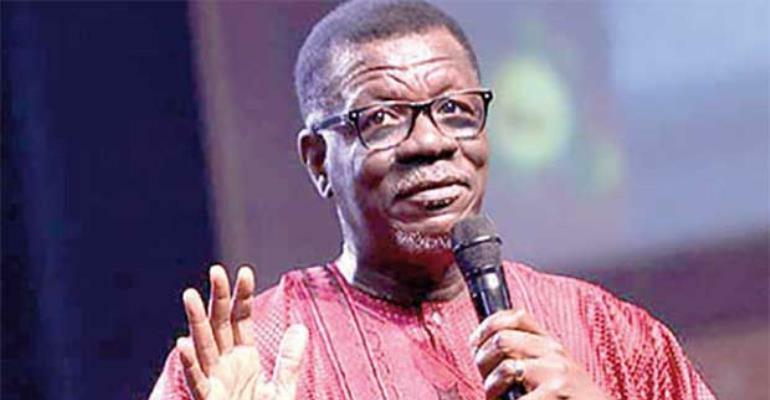 Pastor Mensa Otabil has disclosed the Economic and Organised Crimes Office (EOCO) is investigating him over developments leading to the collapse of Capital Bank. As the board chairman of the defunct Capital Bank, the anti-graft body has invited him over circumstances leading to the revocation of the bank’s license by the Central Bank a year ago. In a statement to state his side of the story following social media backlash over his role at the bank, the preacher said: “Since the takeover of the bank exactly a year ago today, various mandated state institutions have been investigating and working to arrive at a comprehensive understanding of what happened, why it happened and who was responsible for what. I have been invited by EOCO and I have submitted myself to their processes and answered all their questions faithfully. “Meanwhile, as a believer in the rule of law, I will continue to cooperate with the mandated institutions of state as they complete their investigations. I am conﬁdent that in the process, the national interest and the rights of all parties involved will be protected,” Dr. Otabil pointed out. challenges. I was excited about the prospects of a young man from a disadvantaged background who was daring to create opportunities and employment. My position was a non-executive role. I was therefore not involved in the day-to-day management and operations of the Bank. everything was done with the best of intentions and the interest of various stakeholders in mind. My foremost concern, as has been the case over the past year, is for the well-being of those who lost their jobs and those who may have been adversely affected in any way as a result of these developments. My heart goes out to them and to their dependents. I continue to pray for God’s guidance and sustenance as they navigate the course of their lives. for clarifications regarding issues that have been raised. I have preferred not to respond in the public domain, not as an admission of guilt, but out of respect for the due process and the ongoing investigations. Notwithstanding some unforeseen outcomes, I remain resolute in my belief in the Ghanaian and African entrepreneurial spirit. I will thereforecontinue to lend my support and mentorship to inspire others who dare to dream and work towards the promise of Africa’s growth and transformation. Meanwhile, as a believer in the rule of law, I will continue to cooperate with the mandated institutions of stateas they complete their investigations.